Paul & Perkins PA, an Orlando based personal injury law firm has rolled out two new responsive websites. With help from Alex Kerwin (Online Marketing Director at Paul & Perkins) and Trighton Interactive, an Orlando based digital agency, the firm created two high quality responsive websites to attract new clients in the coming years. We've created these sites because we don't want to fall behind. We want to move ahead of the curve and move past our competition. Paul & Perkins PA, an Orlando based personal injury law firm has rolled out two new responsive websites. With help from Alex Kerwin (Online Marketing Director at Paul & Perkins) and Trighton Interactive, an Orlando based digital agency, the firm created two high quality responsive websites to attract new clients in the coming years. 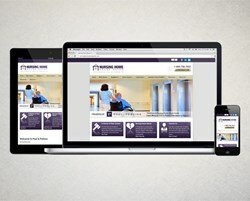 The new branded site, paulandperkins.com ,will function as the firm’s main site, while Nursing Home Abuse Guide will inform the public about nursing home abuse and generate new clients from across the state who are victims of nursing home abuse or neglect. With trends in search changing, particularly in mobile, Paul & Perkins decided responsive design from Trighton was the best choice for the future. The new paulandperkins.com site gives the firm opportunities to target mobile users correctly for the first time in its history. With a fully responsive web site, Paul & Perkins can skip over a mobile-only site and have a fully functioning website for prospective and current clients no matter what kind of device they are using to search the web. Online Marketing Director Alex Kerwin explains, "We've created these sites because we don't want to fall behind. We want to move ahead of the curve and move past our competition. As a firm that hasn't traditionally had much online marketing at all, we're looking to get out there and make a name for ourselves in the Central Florida area." The nursing home abuse site will feature a video center where attorney Paul Perkins helps answer questions relating to nursing home abuse for potential clients and visitors. The firm says they will continue to add content and blog posts to help keep people informed of new laws and new litigation across the country. Both new responsive sites are expected to increase awareness of the firm and build upon its strong reputation among prospective clients and other attorneys. For more information on Paul & Perkins PA’s new responsive websites or the firm, contact Alex Kerwin (407-540-0122) - akerwin(at)orlandotriallaw(dot)com.